So it turns out that our not being able to test drive the suzuki that we rented has really come back to bite us. We paid quite a large amount of money for the car above, and had it driven to us here at Mpala, so we should have been ready to get out and use it. Unfortunately we got our driver into the car the other day and he couldn’t really get the car to start. 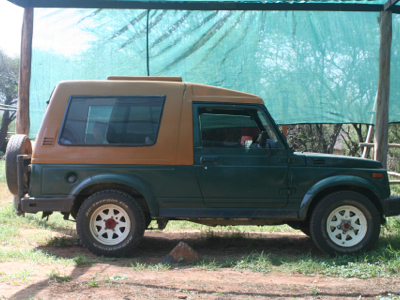 Eventually, with much cajoling from him, the head of security here at Mpala and an Mpala mechanic, they got the car to start (diagnosis: bad starter) and took it out for a spin. Oops… turns out neither the foot brakes nor the emergency brake work! 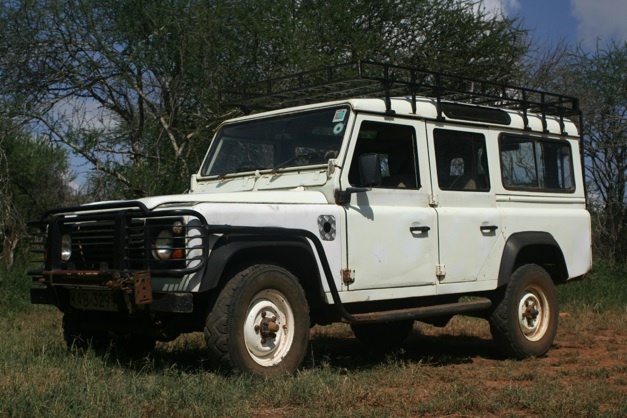 While I admire the car rental guy’s bravery driving this terrifyingly unsafe vehicle some hour or so to Mpala, unfortunately “the beast” (so christened for its hair-raising growl) just isn’t going to make the cut for the rest of the summer. Argh. I suppose those are the joys of renting from a friend of a friend of a friend in Kenya. In truth we don’t suspect anyone of fowl play or bad intentions, Kenya’s just really tough on cars and this one needs some real work before it should be out on the road. SO! Kayla, Walker and I are in need of transport before we can really get out and get to work. We’ve actually just secured a beautiful, huge, land rover defender – the car of choice in this area. It belongs to the mechanic and he calls it his baby. It’s cheaper than the last car, bigger, stronger and in better condition – all systems seem a go! We’re going to take it out this afternoon and put it through its paces. And until we get our money back the chief of security (a good buddy to have on our side) has said he’s holding the beast hostage. So it’s good bye beast, hello baby.